But, it's a typical action- commercial movie. We are talking about off-beat, hat-ke, small budget, art styled and little weirdo, daring of taking risk by the director for strange stories and avoiding the main-stream audiences, ( Of Sholey, DDLJ, CE, K3G, KKHH, MHN, Muqqdar ka Sikander, Daar, Baazigar, kind of audiences ) risky and for the classes only, kind of audiences' rare n' risky budget movies.. It did take a lot of risk for those days by showing widow marriage, hero dying, etc. 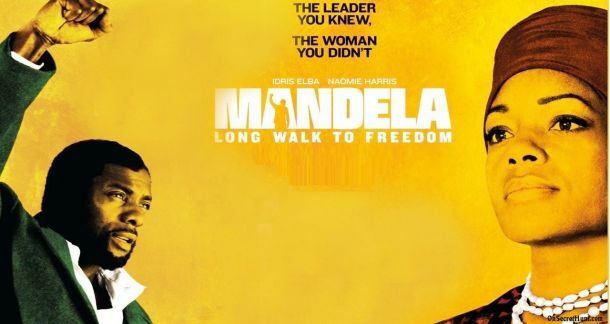 This film is one which is on the border of parallel and commercial cinema---the pace and story of the movie is that of a commercial film but the acting and the lack of background music harks to art cinema . In fact the film tries to straddle both sides---art and commercial cinema.....and the triumph of the director lies in the fact that it successfully combines both types of cinema . Without losing out on those aspects which will win it critical acclaim it also keeps the suspense alive and the pace fast , thus keeping the audience interested throughout . Dr Ahmedi comes from the USA full of idealism to stop a state govt's pet project---a business park which will be built by removing the slums and shanties of people inhabiting the land earmarked for it . So what's the connection with Shanghai ?? For those who dont know , China's premiere port city of Shanghai was a city full of slums in the 1980s when China still practiced communism . When the Chinese govt decided to turn capitalistic , it decided that the rundown city needed a makeover . A gleaming new city was built on the former shantytowns---a city that was the envy of countries mired in socialism like India.....a city of glass towers , elegant roads , crisscrossing flyovers , shopping malls , business centers , restaurants , cafes , residential towers and whatnot . But what it hid was an ugly reality . Some 3 million ( yes , 30 lakhs ) of poor people formerly living there had been removed by brute force to the faraway countryside where they were forced to lead their uprooted lives by a brutal govt . They were forbidden to ever return to their ancestral Shanghai for fear that the presence of these poor dirty folk would make the city unclean and not only deter away foreign investors but would expose the harsh reality of the Chinese economic miracle . How wrong can a man be ??!! But those who dare to help her like a video film maker who has a damning tape of those planning the murder are swiftly killed by the all-powerful establishment....and so she has to turn to an unlikely character for aid---the video film-maker's assistant , a buck toothed unsophisticated character played by Emraan Hashmi . And she has to hope that Krishnan ( played by Abhay Deol ) , the officer assigned by the govt to investigate the murder of Dr Ahmedi has a little bit of conscience---so he would resist the tremendous pressure on him to close the case and find out the real culprits . Kalki and Emraan themselves are hunted down by the goons who want them dead and have run from pillar to post in dramatic chases to save their skin . So does Kalki succeed in finding out the killers of the man she loves so much ?? And what about the task of saving the poor peoples' houses for which Dr Ahmedi sacrifices so much ? I have always been fascinated by royals---by Indian maharajas and maharanis and Nawabs and begums and Badshahs and Shehenshahs and foreign Kings and queens and princes and princesses . Whenever I travel I have mostly heritage holidays---of magnificent palaces and mighty forts which hide many a story of triumphs and tragedies and battles and intrigues and conspiracies . .....So whatever the press was saying about it ( the film has got terrible reviews ) I was hardly going to miss out on seeing a film on Diana---the beautiful and tragic princess . The title of the film is ' Diana '---a grandiose title that makes one think that it is a biographical film about the entire life of the princess . Actually it is about the affairs she had after she discovered ( actually long after she discovered ) that her husband loved another woman and she wouldn't be able to receive his love ever . More specifically , it is about her affair with a Pakistani born heart surgeon---Dr Hasnat Khan . It purports to show Hasnat as the true love of her life ; a person she not only loved but also wanted to marry to the extent that she actually traveled to Lahore in Pakistan to meet his family and more specifically his mother in order to get their approval for the marriage . 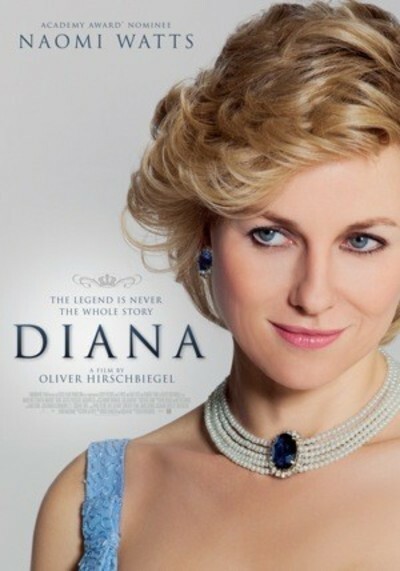 Obviously , this is a downgradation and the film about Diana is reduced to a film on her love affairs. Coming to the film itself , it shows Diana as a woman who is in search of true love ( if you permit me to use a cliche ) , and wants a man who is entirely hers without any hindrances . Is Hasnat Khan that man ?? Not only his religion is uncompromisingly different , but it's not easy in south asia to accept a mother of two sons as the bride of a bachelor. There are tiffs and quarrels between the two and each time Hasnat tries to break off , Diana is the one who makes up with him to the extent of chasing him and standing below his apartment calling out his name like an ordinary woman and then cleaning his apartment like one !! Amidst all this , where are her husband and children ?? The director makes the horrendous mistake of showing them all too briefly , and concentrate only on her affairs . However when the affair with Hasnat breaks , you do feel for Diana and acting by Naomi Watts in the breakup scene does produce an effect on you . To be politically incorrect , one does wonder about her choice of muslim men rather than men from her own culture . Docji, bulk of your take on Shanghai is more like an extension of theme than the review. While, it is interesting, the film guys dont seem to be following that. The film does not mention the background of Shanghai.That is because out Left wing intellectuals are still fond of Chinese. It seems more inspired by what RR Patil was trying till he got stopped by Margaret Alva, Gurudas Kamat and co.
My 3 liner on the movie. It starts as 'development vs livelihood' and this Ahmedi character in an NRI Medha Patkar. There is a murder and investigation goes on with whole puzzle coming together in last few minutes. A 'Political Thriller' Slow, but decent performance by Supriya Pathak and Abhay Deol as Madrasi and picks up speed in the end. Diana was on Netflix. Docji has told all about it. Except that there is Art Malik giving some gyaan in a small scene to Naveen Andrews. His character is showed as 'Samundar'. But is suspect, it was Imran Khan. any other thinks the same. She misunderstands some photos he took of her , and hey presto !! That's all she requires to fall in love with him---obsessively of course.....now where was I when these obsessively stalking babes were being created ?? And that some else ( her name is Nancy ) gets collided with the same vehicle that Ronnie and Maya are travelling in that very night---is this a mere coincidence or is Maya upto her tricks....?? So who was really involved in her death ?? But the nice views and nice songs and decent acting do little to save the film---for the twist in the climax is so stupid that it washes away even an okayish impression of the film . He means his female admirers won't like the movie. But do you know when she looked the most divine ?? When she was wearing a simple salwar kameez !! With red lipstick and a demure expression on her face !! Looking glorious with red bindi and simple makeup !! I wish I could have taken her to my mother in that form !! Mother would have approved of her....blush blush !! What else do you want ?? The story !! That is the past life....But who is the singer ( Jay Bhanushali ) who has come in this life and gets tortured visions of beatings by Rahul Dev in this life ?? And who is really the prince she has fallen in love with in this life ( played by Mohit Ahlawat ) ?? And his rival prince ( Jas Arora ) who openly lusts for her and who also has a property dispute with Mohit ?? Phew !! So many men !! That is Sunny Leone for you ! !....no I am not gonna take her to meet my mother---that programme is cancelled !! So in the midst of all these men and Sunny what happens ?? And how come the past and present lives of Sunny and these men are intertwined ?? Watch the movie for that !! So to not waste your money , why don't you become her devotees like me ?? Less than two stars . Last edited by ashdoc; September 27th, 2015 at 01:52 PM. So what transpires in the trial that follows ?? How does he inspire his people by his bearing and actions in court ?? How does he spend his long years in captivity ?? Still it is a very decent effort . Last edited by ashdoc; September 28th, 2015 at 10:17 AM. no , i really have that opinion about gandhi . but gandhi should not have started the tradition of appeasing the muslims , which is having consequences even now . I haven't read Salman Rushdie's much acclaimed novel . And after seeing the movie , I dont feel much like wanting to read it either . No , dont misunderstand me---the novel is probably as great as people say it is , but the movie does not make you feel like reading it if you have not read it earlier . Verdict--- this one is strictly for the art movie lovers .